If you'd like to enquire about our Choose At Home service or make an appointment, call us now on 01302 341742. Our staff are happy to help with any queries you may have. And we'll make sure to arrange a time that's most convenient for you. Finding the perfect match for your home of office is made easy in your own surroundings. Our friendly experts will advise you on any potential problems and help you select the right style, colour and design from our fantastic range. 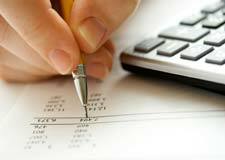 Once you've made your selection, we take measurements and provide a full quote, absolutely free and with no obligation to make a purchase. We believe we're the best-priced carpet provider, but if you come across a better deal, we'll match it like-for-like. The final step, if you choose, is for us to fit your lovely, new flooring. 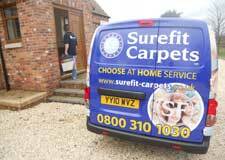 Our expert team will simply visit on the time and day that suits you, and get straight to work fitting your new carpet or flooring to perfection. Then all that's left to do is stand back and admire. It’s our passion to help you find the perfect match between our flooring, and your furniture. And that means bringing our full range of samples to you. In your home or office, our friendly flooring experts will advise you on the best style, colour and design to match quality flooring to the room you’re in. Plus, they’ll be able to estimate the exact amount of flooring you require. Don’t worry, you won’t ever feel obliged to make a purchase. And it’s completely free. We’ll only leave behind your requested samples, the exact room measurements and a free quotation. Just complete the contact form and we will call you back to arrange a suitable time for our estimator to call out, deliver samples, measure up and provide a free quote ! Call us today to discuss this free, tailored service. We can usually make a visit within 48 hours of your call, and can arrange a fitting within two to three days. Call us on 01302 341742 to discuss our Choose At Home service today. The personal Choose At Home service meant no more guesswork. In my own home I could find the perfect match.